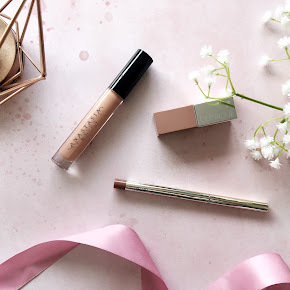 I am always on the lookout for products that are completely travel friendly and makes my life that little bit easier. 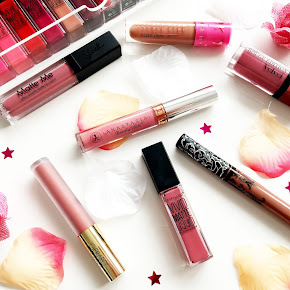 I was the kinda girl that would take out the most ginormous bag, filling it with numerous sprays, countless lipsticks and the biggest bag of makeup. Now, ever since I gave birth to Alfie I have found that I can't do that anymore as I have his pram, changing bag etc. To make things more practical and easier for me, I now take out a smaller bag. Obviously with a smaller bag you can't quite fit in all of those products. I have since found a brilliant solution to one or two problems of mine. I discovered Flo Accessories. A fantastic website that is full to the brim with brilliant, travel friendly products. Perfect for fitting into a smaller bag when you're on the go. I was very kindly sent two of their products. The Silver 5ml Refillable Perfume Atomizer and a Black Celebrity LED Compact Mirror and I have to say I am soo impressed. I wish I had discovered them before. Before I leave the house I like to spritz on my favourite perfume but as time flies throughout the day the scent left on my skin that morning/afternoon fades away. 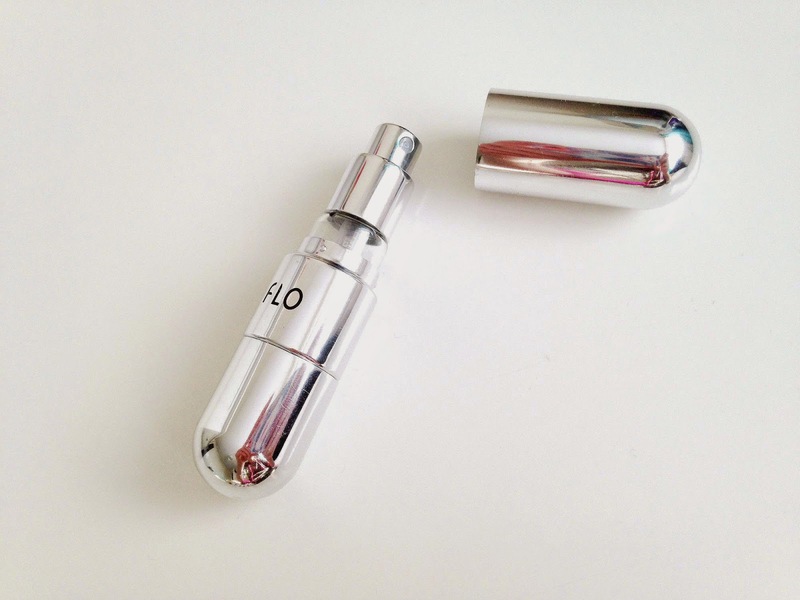 That's where the 5ml Refillable Perfume Atomizer comes in. I pop off the lower cap of the Atomizer and spray my favourite perfume through the silicone 'mouth' until it's full and screw the lower cap back on again. I currently have my Marc Jacobs Daisy Delight in my Perfume Atomizer. It's super quick and easy to use. You can just pop it into your bag and spritz your perfume on whenever you like without taking that full size perfume bottle out with you. If you're confused about how to use it there are instructions inside the box to guide you through it. 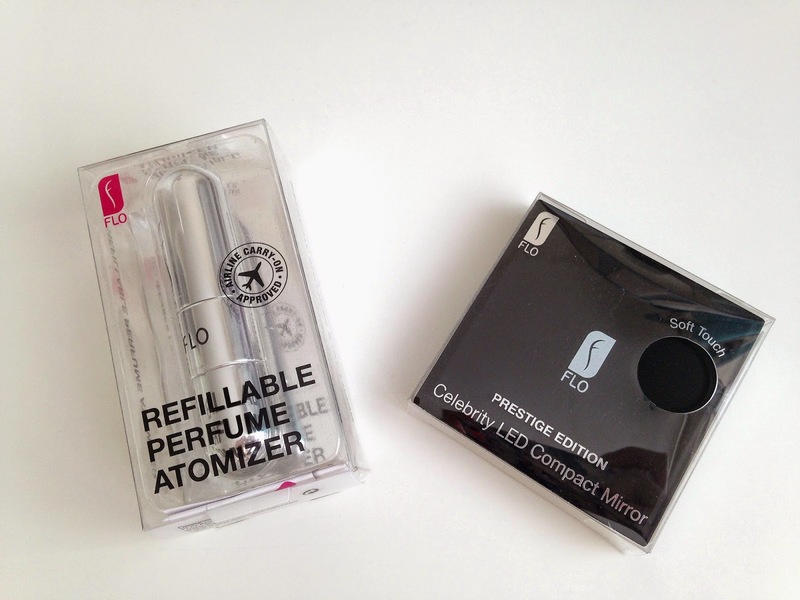 You can also get the 5ml Refillable Perfume Atomizer in various different colours to suit your tastes. There is a pink, blue, orangey-gold, black and another black with white polka dots. There is also a bigger size, 7ml as opposed to the slightly smaller 5ml that I have. You can purchase it for £9.95. 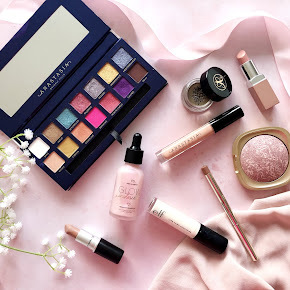 Ever tried doing your makeup in the dark with a small compact mirror? Yeah, that's me. It's a real struggle, believe me, especially when I'm applying my liquid liner. 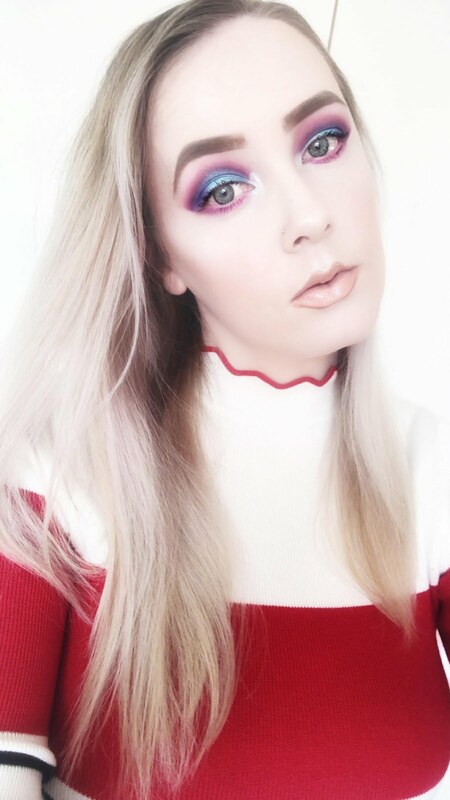 The Celebrity LED Compact Mirror takes that struggle away and makes makeup application so much easier. As you open up the mirror, you can see that there are three small LED lights on the left and right. To switch them on, there is an on and off switch at the bottom. It's pretty simple really. It also stands up on it's own so there are no achy arms here. The packaging is lovely. The exterior of the mirror is incredibly stylish with its soft touch finish. Thankfully I haven't found the mirror to get any of those grubby marks on it like I've noticed with other products with the same kinda finish. Again, you can find this mirror on their website in different colours. Not as wide a range as the Atomizer but you can get this in a pink or white. Whatever floats ya boat. 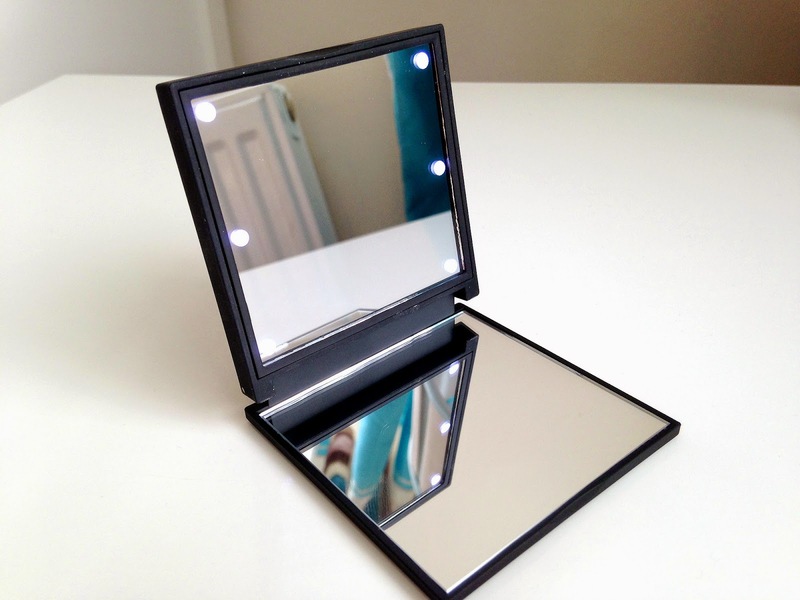 You can purchase the Celebrity LED Compact Mirror for £9.95. 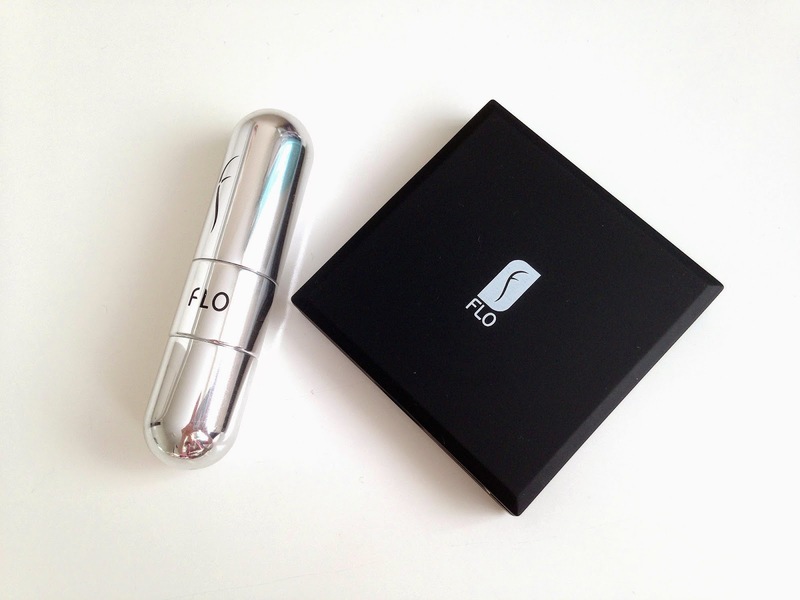 Have you tried anything from Flo Accessories?